Wow, perfect timing! I just received a “bug report” from a staff member that they could not delete a company from our website. I told them it is because we need that company’s information for ordering and that this is a design issue we need to discuss. I am happy to know my mind is on the right track with these things. But sometimes I wish it were as simple as a delete. Idealism vs. Reality, eh? My question would be how much would this impact the rest of the system? You now have to go through every query and evaluate if it should care about the status? But also behavior is changed. Certain methods on Customer make no sense if they are inactive. So do you now have two interface/classes: ActiveCustomer and InActiveCustomer? Does NHibernate need to know? Do you use the status as discriminator? Or ‘it depends’? I agree with everything you’ve said, but what about when a user makes a mistake? Maybe he creates an entity incorrectly and just wants to delete it. Similar to when you create a file, maybe in the wrong format, and just want to delete it and start over. Pardon the language but I take more than writing in English and I am short of time. A friend sent me this article, with which it agrees completely refactored recently a project under this philosophy ELIMINR NO. However, I believe that the concepts are mixing a little. One thing is the concept of eliminating and over: the various states that may or may not Entity. I’ve been doing Data Management Systems for many customers and have found all kinds of requirements. In the vast majority of cases is very true that we should not remove the records, but in another large percent, depending on the institution, is very, very necessary. Once a registry X a datawarehouse will be removed. We’re not talking the same system, although connected. Perdonen por el idioma pero me demoraria mas escribir en Ingles y estoy corto de tiempo. Un amigo me ha enviado este articulo, con el cual esta de acuerdo totalmente pues recientemente refactorizamos un proyecto bajo esta filosofia de NO ELIMINR. NO obstante creo que los conceptos se estan mezclando un poco. Una cosa es el concepto de ELIMINAR y otra: los varios estados que puede o no alcanzar una Entidad. Llevo años haciendo Sistemas de Gestion de Datos para muchos clientes y he encontrado de todo tipo de requerimientos. En la gran mayoria de los casos es muy cierto que no debemos eliminar los registros, pero en otro gran porciento, dependiendo de la entidad, es muy, pero muy necesario. Una vez que un Registro X vaya a un DatawareHouse HAY QUE ELIMINARLO. No estamos hablando del mismo sistema, aunque esten relacionados. Que seria de las BD si nunca se Eliminara un registro?? Ni con 1TB de HDD nos alcanzaria, ni con 100. No creo que tampoco debamos mezclar siempre el Estado de Eliminado y de CANCELADO, para no hablar de “SIN INVENTARIAR”, “EN INVENTARIO”, “PENDIENTE”, etc, etc, por solo hablar de la entidad FACTURA DE INVENTARIO. En este caso especifico, jamas se debe Eliminar, claro esta que seria una regla de negocio totalmente independiente, pero no deberiamos mezclarla con resto de los Estados. Ahora, una cosa es cierta, casi nunca el Cliente conoce estos detalles tecnicos: somos nosotros quienes debemos ofrecerle un sistema flexible y potente, implentando, de ser necesario, todas estas filosofias por el bien de todos. NO ELIMINE, A MENOS QUE ESTE BIEN JUSTIFICADO. What you’re saying here makes a lot of sense and I completely agree. One scenario that is more difficult though is the one where someone makes a mistake and puts something into the system they shouldn’t have. In those cases you need to cascade the delete since erroneously adding the item will cause problems downstream as other systems take action in response. For instance, an employee may add new product to the catalog by mistake (perhaps they thought they were in a test system, weren’t trained properly, it was already added by someone else, etc..). In this case you may want to remove the product as if it never existed to avoid confusion. I hear a blog battle brewing. My guess is that Ayende will respond to this within the hour. I’ve seen this before. Where that item is obsoleted and replaced with a new item. You still need to maintain the information so that when a customer calls in with an order for the obsoleted part number you can give them the replacement part number. Very well explained. A couple of observations. 1. 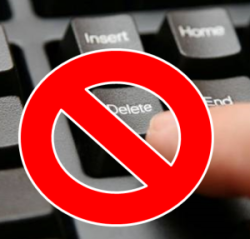 There are cases that hard “delete” is a valid business operation. Let’s say I uploaded a photo of my mom instead of a scan of the contract. We might want to allow the user to delete within a certain context. Or maybe not. It’s a business decision. But to be clear, “delete” as a business operation should be understood to wipe something out with no auditing trail left behind. 2. These concepts apply just as much to Access as anything else. Ages ago when I wrote some Access apps I always followed these same concepts. Trying to shoe-horn this approach into an already structure CRUD application probably won’t be easy – agreed. That being said, why build anything at all unless you’re quite confident that it’s what your users actually need? When someone creates an entity the first time, give it a status, say ‘tentative’, which requires some kind of authorization to make it visible to everyone else. We might only allow the ‘delete’ task to be performed on entities in the ‘tentative’ status. Mistakes can happen in entity creation, but those are of relatively minor concern. The bigger concern is mistakenly deleting an entity. In this model, since you don’t delete, you can more easily revert back to a previous status (uncanceling an order). Apologies in advance for possibly misunderstanding your comments, and thanks for sending them in. It looks like I wasn’t thorough enough in my post – I should have said that there may be a need to delete *data*, often in the context of data cleansing and those kinds of scenarios. These activities, though, are often quite different from the default interaction model most users are presented with in today’s business applications. See my comments to Andy above. Thanks. You’d be surprised at the kinds of things me and Ayende agree (and disagree) about. Yup – that’s exactly right. I did read your comments and blog post before writing this post. I’d agree that more developers should be aware of temporal DBs and have them as a part of their toolbox. I would say, though, that having the context I’m talking about in this post is quite critical in knowing how to design your temporal relationships – so the two very much can and should work together. I totally agree – the business context is what shows us the way. When uploading a file, often the intent is to “overwrite” the previous file, but that doesn’t necessarily mean that we lose the audit trail. And apologies for disparaging Access that way – it was just a way to make the alternatives concrete. You also have to write the follow up post : Don’t Update, Just Don’t ! > You also have to write the follow up post : Don’t Update, Just Don’t ! Glad you were able to reconcile these points of view. it seems to be quite funny that although I work with pretty CRUDy application, all the ideas about not-deleting have been incorporated into it automatically, for instance dismissable employees which are sources of foreign keys (speaking in terms of DB). The delete operations can be applied only to an entity which haven’t started its business life. You can treat this kind of deletes as a simple erasing sth with a rubber before sending it forward. Once the entity started its business life, all you can do is to change its statuses. Sounds like you and I are very much in agreement. My apologies for the language. From now on at least translate my post and keep a copy of the original Spanish. Pardon the language but I would take more write in English and I am short of time. A friend sent me this article, with which it agrees completely refactored recently a project under this philosophy of NOT DELETE. That would be the BD if you never delete a record? With 1TB HDD or catch us, or with 100. I do not think we should not always mix Eliminated the state and to cancel, not to speak of “NO STOCK”, “INVENTORY”, “Pending”, etc, etc, by just talking about the entity INVENTORY INVOICE. In this specific case, will never be suppressed, clear that it would be a totally independent business rule, but we should not mix with other States. Now, one thing is certain, almost never the Client is aware of these technical details: we who must offer a flexible and powerful implentando, if necessary, all these philosophies for the good of all. DO NOT REMOVE UNLESS THIS well justified. I agree with the basic premise of this. I have actually never worked on a system where deleting anything was actually the business requirement. I have worked on many systems where entities come in and out of affect. Pricing options, discounts, special promotions, products that are services that are discontinued, etc. Having said that, databases also cannot perpetually grow with entities that are no longer in affect. Performance and storage issues tend to mean at some point you have to delete stuff. Our solution was to have a running duration of time that would be in the database (18 months that eventually moved to 12), and delete (with all the business rules for consistency in tack) the stuff older than the duration in a batch process separate of the main OLTP application. Agreed, I think that the tendency to jump into classifying the logic as CRUD elides what the business task is. I’m seeing a similar thing with Audit. Instead of jumping into some automatic audit trail feature via NH interceptors or triggers, it’s important to find out what the intent is with regard to the audit information. Interesting and for the most part I’d agree, referential integrity often makes this something of a necessity unless you want large cascading deletes that has a far greater impact than the original user envisioned. However there are two major use cases that this doesn’t play nice with; firstly as mentioned above mistakes – this is especially costly when the record ties up some unique resource – say a GUID, code or even a reserved name that then requires some data fix to unbind. Secondly data archiving; not a problem for lots of systems that never reach the volumes that cause performance degradation that the hardware cannot offset but still definitely a consideration when running into millions of records. Is that information still needed? Can it be curtailed? If so what can be and what is the impact of it going? One last thing to keep in mind is that sometimes this can be enforced by law; i.e. the UK Data Protection Act enforces some fairly strict procedures of the data that a company keeps about its customers and sometimes the easiest way to comply is to simply not hold that data anymore. Your statement “DO NOT REMOVE UNLESS THIS well justified” is a good one, but the challenge is always teaching people what “well justified” is and, more importantly, isn’t. You bring up a valid point that when a given graph of entities is in a certain state for a certain period of time, it can be in the business interest to archive it away from the main database for performance reasons. It is a general organizational pattern with developers to accept “requirements” at face value and then go develop them exactly as specified. We need to invest more in human-to-human interaction in order to solve/prevent the software problems we’ve been seeing as an industry. Taking up a GUID in the case of a mistake is not such a big deal. However, since we can set up a preliminary state for data as its being typed in (where most mistakes happen), data in that state doesn’t actually count towards reserving a given name/code/resource. When entities in that state are “published” or “authorized” is when we check for uniqueness and “reserve” that name/code/resource. As for the archival, I acceded that point above in my comments to Andrig. The status thing that you are suggesting is sort of incremental where in the user will create something first and then will act upon – cancellation, retirement, marking it as inactive, etc. I follow your point in saying that such scenario should be handled by marking the instance with appropriate status rather physically removing from the system. Flexibility equates to complexity. Hard deletes are easier to implement but can have far more profound effects. Soft deletes are more flexible, but require a lot more work to implement properly. As someone mentioned, every report and every screen has to account for the state of the record. In some cases, they have to allow for ignoring the state (i.e., don’t filter on anything). Thus, it is not just a matter of gleaning from the user what they are really trying to accomplish, it is a matter of presenting a cost/benefit proposal of development time vs flexibility. See my answer (12) to Andy. If the user mistakenly added an entity, then we could call entity.AddedByMistake(); which may result in a delete. Other actions are just as easy to revert when you have the original context. You’re absolutely right – sometimes MS Access really is the right tool for the job . be faced with the two main problems associated with soft deletes. 2. 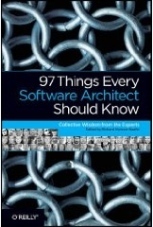 You end up with more complicated and error-prone queries. when you introduce new entity states, you quickly end up in a situation where users cannot explain the difference between two states. The question of business status is more important than the answer. What I mean by that is that as long as the business people are making the tradeoffs between complexity/cost and value in the statuses, then we as developers have done our job. It’s when we assume that deleting (whether soft or not) is a good enough technical solution – without vetting that with the business, that we overstep our responsibility. To your point #1, we don’t bypass RI – we actually model the business life cycle of important entities. And to point #2, correspondingly, we show users what they need to see – adding a single where clause might make it a *tiny* bit more complex, but I’d hardly go so far as to say “error-prone”. Udi wrote: adding a single where clause might make it a *tiny* bit more complex, but I’d hardly go so far as to say “error-prone”. Unfortunately, “error-prone” is no so far off. It probably depends on how you structure your code, but adding an extra status to some central widely used entity can ripple changes to many places: you can have a bunch of reports that need to be changes, querying in the UI needs to be changed, the new status has to be added as an extra parameter to UI search windows, you may need to add extra language translation for that status and so on. In short, adding a simple status can have wide spread consequences. The SQL etc. might be rather trivial to fix, but the biggest problem is to locate all the places that need fixing – and *that* is error prone. Neither is a big test suite going to help you: all your test will run fine since none of them are aware of the new status. Adding new tests helps of course, but figuring out which to add is also a problem. This is *not* to say that I prefer a technical delete over true bussiness logic. I just want to illustrate that it might be a bit more expensive than exptected. For example, suppose we have a status table with a name column and a series of attributes. We cannot put our unique constraint on name alone; it must be on the state and the name. For each addition, we must check whether we have ever had the given name and if so, “reactivate” it. If we simply reactivate, the new status will contain the attributes of the previously deleted instance unless we guard against that. It is more error prone because it is more work to implement correctly especially in reporting as all the report designers have to know to account for the state column. If we go the route of a mirror table contained deleted values, that has its own set of issues. None of these problems are insurmountable, but they do add work, which means cost which means a cost/benefit problem for the stakeholder. IMO, soft deletes must be a conscious, well thought out decision as it adds cost to the project which can be substantial depending where the soft deletes are needed. It is not just a “tiny” bit more complex. Every query has to account for the state and typically those errors happen in reporting. As I think about the natural key, surrogate key choice, I suppose it’s no different than handling the unique constraint. I have to agree with this, as I see this problem occur frequently. In particular, I have seen it in relation to a data source that is central to most of the LOB applications my company writes (the security master for a trading firm). Because the data is so central, we cannot have one person or a group of people in charge of all access to that data; they would simply be overwhelmed. So everyone must have access to that data. But not everyone has the time to become an expert in the security master. And because the designer of the security master subscribes to the “never delete” policy, the number and combinations of statuses has exploded, and is continually increasing. It is very difficult to accurately write a query that will actually return the data that you think you are asking for. Even something as simple as finding the ticker for a stock is non-trivial, because all of the previous tickers for the stock are still in the table (with various statuses depending on the reason for the change), AND the current ticker might have a status that indicates that it has been scheduled to be changed (but has not been changed yet). While there are some corner cases where seeing the entire ticker history for a stock might be useful, the vast majority of our operational systems don’t care; they just want to know what the ticker is right now. But these systems must deal with the increased complexity for the sake of maintaining a history that is rarely if ever useful. I absolutely agree that trying to solve this problem at the database level is very complex – especially when that database is used by many different applications. The recommendation of not deleting is for a database that belongs in its entirety to a single application – what Martin Fowler calls an “application database”, as opposed to an “integration database”. In this kind of case, it is less likely to see that same kind of explosion that you’ve experienced. Thanks pal!!! I was wondering if someone was concern about the domain model.. I’m trying to apply some DDD and it makes sense to me that deletes have a reason behind it.. I will say no to deletes from now on!!! Of course there is the need to delete things physically. Temporary data, old data, erroneous data. Before the computers took over we had paper baskets and shredders in our businesses. Since the basic business requirements are mainly unchanged we also need the digital equivalent of them today. I don’t want to filter my valuable information out of a trash mountain. This observation does not mute your main point: Make sure you understand what your user wants/needs and *then* implement the correct logic for this. However, sometimes that can be a plain DELETE. How does this tie in with Data Protection laws, where data can only be held for x-amount of time? At that point, we create rollups of the data which can be stored for longer periods of time. When I have had this kind of issue, I found that using a date range indicating when the record is active helpful. After the date range is over, the record still exists (for joins to records that used it), but is not used in anything going forward. What you’re describing is a kind of soft-delete. Interesting ideas but they are based on data which is directly based on real life objects which basically exist forever. Do we really want to store everything from now to eternity? If we don’t, we have to delete something. Like orders older than 10 years or customers who haven’t bought anything in 2 years. Or stock data from 5 years ago. Storing personal data of ex-employees is probably illegal in many countries, they have to be deleted as soon as employment ends. So: As a blanket idea ‘Do not delete’ is very bad idea: It will cause massive problems sooner or later. When it comes to personally identifying information, often we can comply with the privacy laws by just scrambling the data. A nice article about not deleting. However, not really much attention is paid to what to do with the data that wasn’t deleted. In fact, it is glossed over. In my opinion this is because you are focusing on the wrong issue. Not just “what does deleting mean”, but what IS being deleted. When a record is to be removed, what is really being removed is a node in a graph – not just a single record. That whole graph integriy is the reason for people to bandaid over the issue with “soft deletes” as advocated here. These bandaid solutions tend to hide the gangrene underneath – a festering problem which only gets worse with time. What’s worse is that in order to accompany the soft delete logic must be included all over (many times breaking various conventions and implementing anti-patterns) to account for the possible breaks in the object graph. Moreover, what kind of business logic is “isDeleted”?! I believe a very strong solution to this problem, the problem of removing an object while retaining the referential integrity of the object graph, is to use an archival pattern. On delete of an object, the object is archived then deleted. The archive database, a mirror database with meta data (temporal database design can be used and is very relevant here), would then receive the object to be archived and restored if necessary. This makes it very direct to avoid listing or including a deleted object as the relevant database will no longer hold it. Now, the same logic which was applied looking for “isDeleted” “isActive” or “DeletedDate” can be applied in the correct place (Not all over the place) to foreign keys of retrieved objects. When a foreign key is present, but the object is not, then there is now a logical explanation and a logical set of options. Display that the containing object was deleted and some course of action: “Restore, Delete Current Containing Object, View Deleted”. These options can be either chosen by the user, or explicitly defined in code in a logical manner. Depending on how advanced the archival database is, perhaps more options exist such as who deleted it, when, why, etc. etc. It depends completely on the use case, without considering this there is no true-vs-false. well, at some stages the DELETE is nothing but required. for instance in buffer tables, for some continuous flow processing in large scale systems as the ones I work with. trxs flow in a table through different async processes by changing status, and finally have a “logical deleted” status. But to keep +15 process in the flow with 120 trxs / second throughput, this table has also to be purged. there are different strategies for the purging activities, and the processes and table structure design some times makes it quite tricky. Hence it depends on the situation/problem one wants to solve. I wouldn’t say it’s the issue of small vs big, but rather (as you said) the context. When the data is (what I call) private – meaning only seen/used by a single user, then that user can delete that data completely without any concern. However, when the data becomes “public” – meaning that there is data from other users that gets connected to it, one should avoid deleting and think of more meaningful lifecycle-type changes to it. I have been facing this topic on several systems and I do believe in soft delete. But I have seen there is a problem when the data is highly connected. A very simple example: let’s say that we are managing stores & employees. When we decide to deactivate a store, we can not think on deactivate the employees too (cause that will be thinking in the cascade way that we are trying to avoid), so, we can mark them as “free” employees, without an assigned store. Seeing this from reporting side, what should we do when we decide to do a report of the stores existing on the months before delete?, should we show the store and the link with all its employees at that time?. And a second report after delete time, should the store not be shown? (of course thinking also on an employee report to show them as free after delete but show them linked to the store on a report before delete). The thing here is, should all be managed as really historic records? or once we decide to deactivate something the relations should be forgotten by the system?. In my example, would be to never show the store even in reports previous to its deactivation and show the employees as free persons since the start of the time. It could be confusing on making a difference when deactivation means something (like the closing of a store) or it is just deleting an input error (user wrongly enters a store that never existed). I know that this could make the topic more complicated, but I believe that in some systems could be need to take in consideration and could have an impact on deciding if we should use soft or physical delete. In tables that I use as a queue system, I delete records after processing them. Otherwise I forbid deleting records in my systems. It’s annoying to have to specify “and deletedDate is null” in your queries, but I usually end up making a view like “select * from FooHistory where deletedDate is null” and use views in app logic. I suppose soft-deletes can be a pair for ORM users, though as a micro-ORM user, it’s neither more nor less of a pain. What is less of a pain is determining the state of the system on date X. You can’t do that if you destroy data. Why would a developer care about this–isn’t it a reporting issue? No, it’s a development issue. Ever get a bug report that you can’t reproduce? Maybe it’s because the data you need to reproduce it has been destroyed. There are entire realms of questions that cannot be answered when you destroy data. I’m sure it wouldn’t be too hard to build a convention-based ORM plugin to deal with soft-delete tables, especially for the readers of this blog. Another thought is in regards to “it doesn’t make sense for a business object to have to check for isDeleted”. I think, “yes & no”. An entity can be thought of as a series of changes over time. If you update the name of a product “FooA” to “FooB”, the people who bought it before the update still have a box that says “FooA”. Or if instead you delete the product and replace it with “FooB”, the old orders for “FooA” should still exist in your system. When the customer views his order history, it should definitely contain an entry for “FooA”, not the updated name. Those are great points – I’m with you. Depending on the DB you’re using, keeping the entire history in a single table can be problematic at large volumes of data. You’d probably want at least a separate file partition for the deleted rows. In our system we use domain event to insert/update and delete views required for querying. I guess when using ES, it doesn’t matter whether you use Delete in your command as it will be stored in the EventStore as an event. What happened with the aggregate can be always be loaded from history by replaying the events, so no information is lost. When using a model for read/write, it becomes much harder to find out whether you have to do a real delete. Inspiring post…however, I do not think the example given actually support the point. Basically, The real world does cascade. The order example is a little bit misleading since that is not the real delete scenario. That is just scenarios for stateful entities. Delete is for truly useless data. For instance, if an employee resigns, the company would delete not only his email, but also other record related to him. (assume no ref of this employee is needed in future). Also, audit Trail would take care of the data recovery job. Just make sure the atomic is not broken in transction management. Even if an employee resigns or is fired, the company shouldn’t delete/expunge their records. Lawsuits can always happen later.